16th Battalion Welsh Regiment. 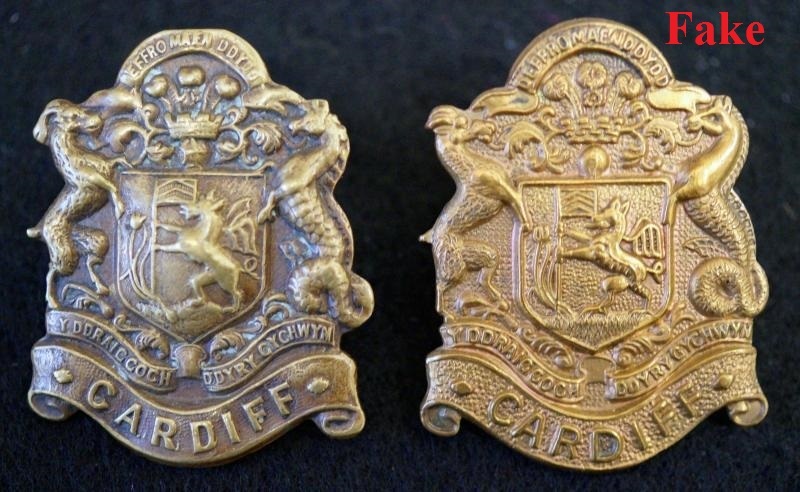 Cardiff pals badge. the only badge I've ever gone looking for. As a Cardiff boy born and bred I couldn't resist. It was bought before I knew people faked everything we treasure and revere. Never had the chance to examine an original so couldn't comment on yours, however thanks for showing a rarely encountered Cap Badge. I'd never seen one when I got it but I suspect I've seen copies since. Sounds good to me, look forward to seeing what you have there! Sadly I have to offer my opinion in it being a copy. Actually, it is a collar badge, not for the cap. Excellent photographs Jerry, thanks for posting, never ever seen them before, and good to see them in wear on the uniform. They were both copied from the web, thanks to someone else is due for them. No doubts now about it being a copy! Those are honking big collar dogs! 10 minutes extra on kit polishing every day must have made the lads happy. Sorry to have been the bearer of bad news. By the way, I am also a Cardiff lad, well not a lad any more and no longer living in the Diff. 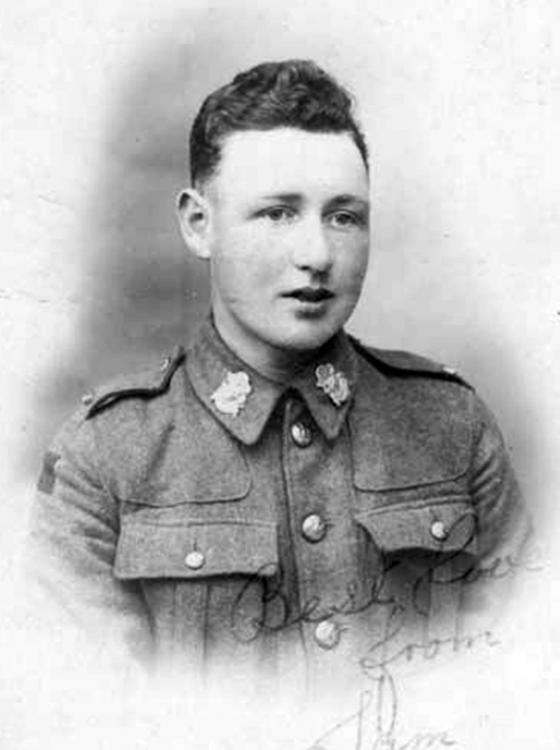 could you tell me which cap badge that would be? Now I know I've 'got' an XL collar dog not a cap badge! A standard WELSH regiment OR's bi metal I think for the pals. 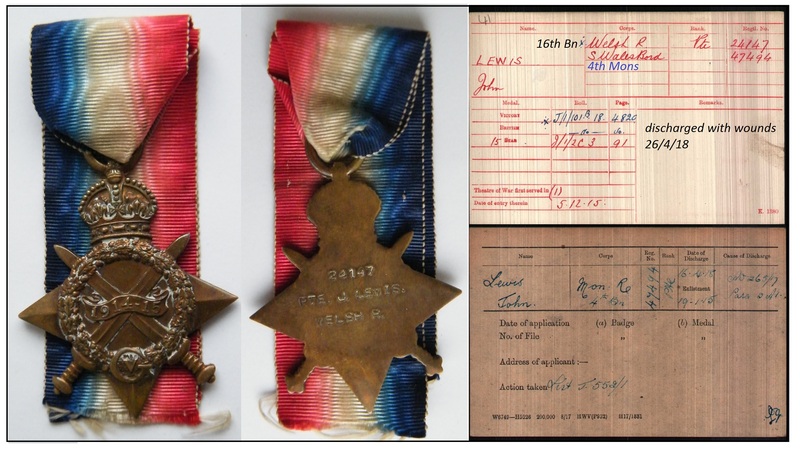 Note during the pre 1920 period the Welch wore the badge with the spelling WelSh with an S not a C which is seen on post 1920 badges. 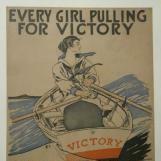 ive definitely got a doubtful one (reverse) of those and I think another one that may be proper. im not sure of the spelling on them mind. Surely no-one is faking these staybrite yet! Nice one mate. Wouldn't have noticed that or thought of it as chopped even... nice one. Cheers from the 'Diff' ! I love getting it wrong! Luckily! 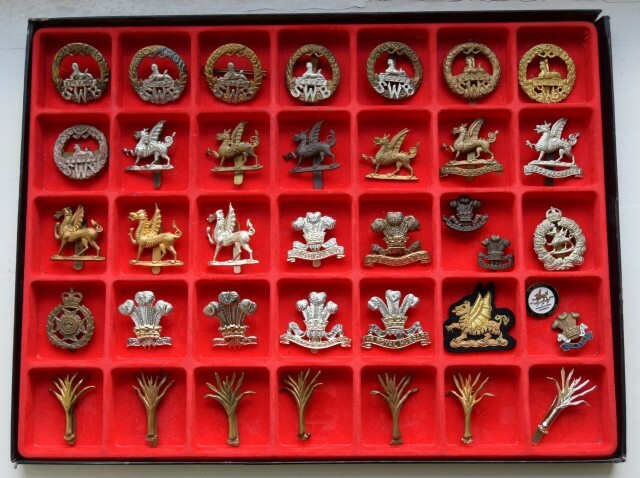 I have a few Welsh badges, probably a few more than shown in these pictures as these are now out of date. Jerry, Are these your focus, your No.1 thing or ? im a bit of a magpie so my mind boggles. Do you mind me asking do you have a lot of other badges?? Ive 'only' got two fusiliers badges. The one is a dug up . The other, a bi-metal is well rubbed. I'll find them and post. 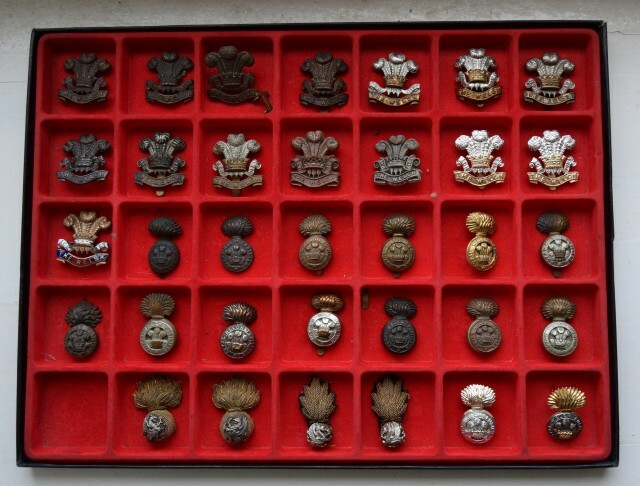 Great lot of badges there Jerry. 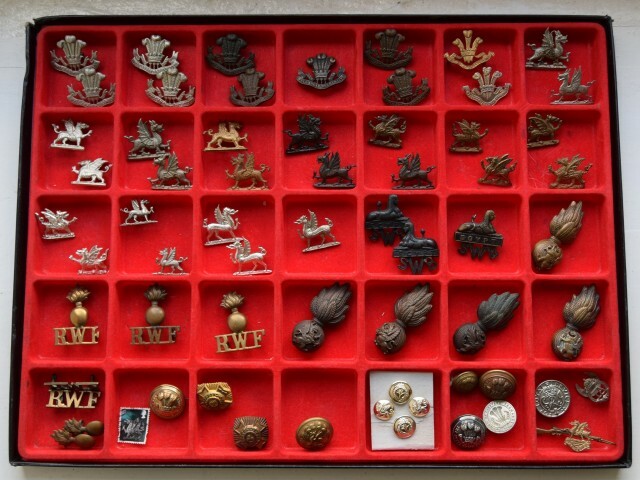 I started collecting various cap badges back in the 90s only to find at a later date that many were restrikes, that put me off them. Tony, do you know Hewitt has two sets of records online? Under his 61598 number and 39204 too. Regrettably i have never researched it... or the majority of my others. Are Hewitt's records available to all or pay per view??
. I started collecting various cap badges back in the 90s only to find at a later date that many were restrikes, that put me off them. I found the same Tony. Both medals and badges - I still referred to books that said certain things proved originality - no longer. I had no idea how things had changed. Can't trust much nowadays.... sadly. Mate, it isn't free so pm me your email and I'll send the papers over. There's nothing exciting there but it tells you a little about the man behind the medal.